three profiles were found for Cheryl-online.net in social networks. Among other social networks the website is represented in Facebook, Twitter and YouTube. The web server with the IP-address 46.29.21.46 used by Cheryl-online.net is run by Sprint and is located in Poland. 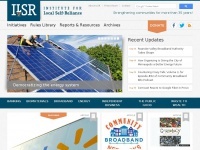 On this web server 35 other websites are hosted. The language of those websites is mostly english. A Nginx server hosts the websites of Cheryl-online.net. For managing the data of the webpages the CMS WordPress in the version 4.9.8 is used. XHTML 1.0 Transitional is used as markup language on the webpages. To analyze the visitors, the websites uses the analysis software Google Analytics. The website does not specify details about the inclusion of its content in search engines. For this reason the content will be included by search engines. 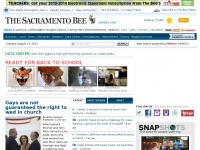 Sacbee.com - Northern Ca­lifor­nia Brea­king News, Sports & Cri­me | ..